And so 2013 draws to a close, which for most people means its time to wheel out the top ten lists. Well, you’ll have to wait for mine, it’ll happen in a few months when I’ve seen a few more shows I missed (like Mike’s darling Hajime no Ippo) and can reflect more on those ending now or in a few months (such as Tokyo Ravens). Assuming I ever catch up with my backlog which is at about 50 episodes now, as I prepare for the new season barrage. 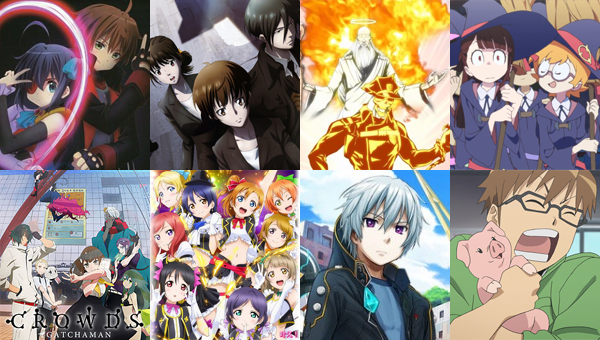 Fear not though, because it’s always a good a time to look forward to some of the shows that’ll we be legally streaming (honest) over the next 12 months, so lets have a gander at what’ll possibly be contenders for our Anime of the Year 2014. Haruhi is back! Kinda. The Melancholy of Haruhi Suzumiya made waves when it aired in 2006, becoming one of Kyoto Animation’s most popular shows, and time hasn’t stopped that, with the 2009 series driving fans insane and the movie adaptation of Disappearance doing well at the box office. 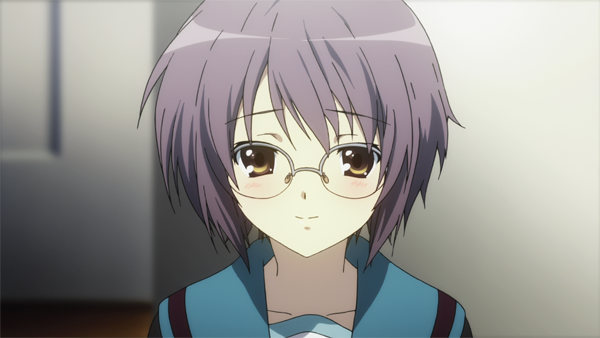 But now, instead of a third season, we’re getting the Disappearance of Yuki Nagato spinoff animated instead. Taking place in the Disappearance timeline, this revolves around the shy Yuki of that world trying to become more confident and win the affections of her crush, Kyon. The studio doing this has yet to be announced, so it could be somebody other than KyoAni taking on the Haruhi legacy, but this’ll certainly be one to watch when it airs. Pupa’s had… a rough ride. Originally set to air in Fall, something fell through, with the show not getting a sponsor or station to air on due to its graphic nature. Which was a real shame, I had this down as a dark horse for AotY 2013. But now apparently those problems have been resolved, and the show will be airing in some capacity, either as shorts or a full-time show, I’m not sure. And the story? Well, it’s about a lovely boy and girl. One day, the girl, Yume, sees a butterfly and transforms into, well… a cannibal. The story follows her brother trying to save her from that life. 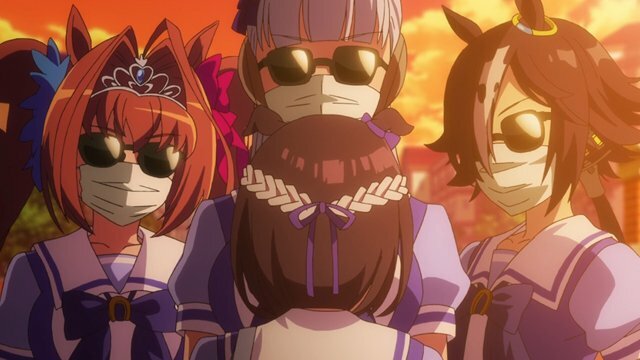 Needless to say, it’s that cannibalistic (and I’ve even heard incestual) content that stopped the show from getting aired, and was what intrigued me to begin with, standing out from the usual slice-of-life moe moe rubbish. Assuming it has found its way to airing, an d if you like horror or want a more raw experience in a show, check this out. This’ll be tricky to write, I’ve never actually watched a “-monogatari” show. Combine this with the timeline being completely incomprehensible to outsiders, and an airing schedule that goes here, there and everywhere, and I’ve no clue how this series achieved the popularity it has. 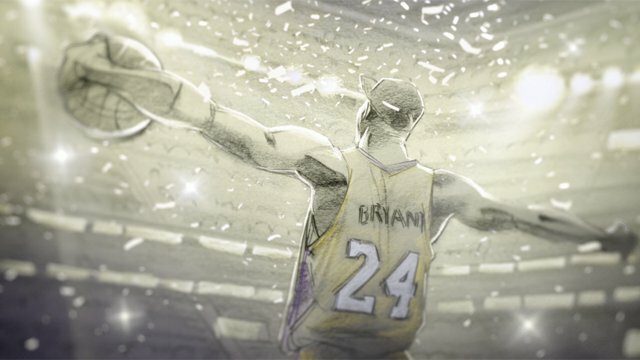 Well, that’s a lie, it’s because Shaft are the perfectly insane studio to adapt such a work, bringing a style and flare to the show that makes it really stand out. This year, there’ll be two more additions to the franchise. 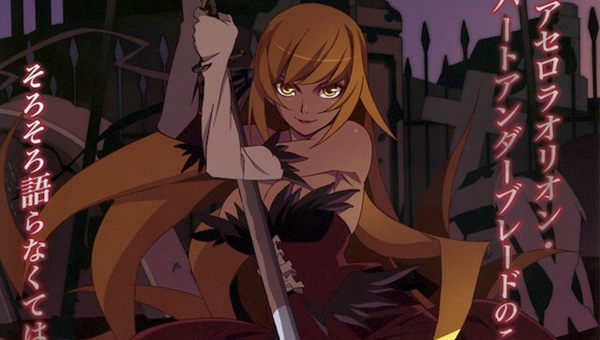 Hanamonogatari will air on TV, while Kizumonogatari goes to cinemas, marking the show’s first jump to the big screen. 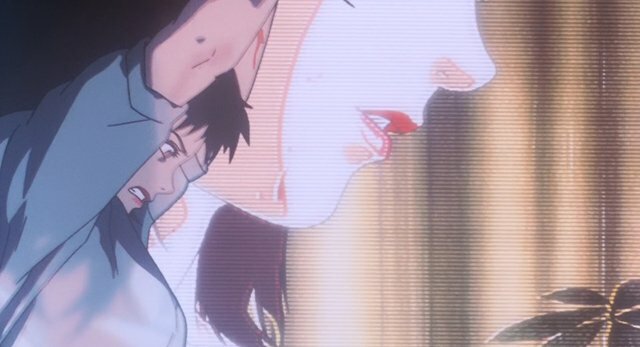 I’ll certainly be interested to see how it handles the jump, anime going to the cinema always seems to turn out as a do-or-die in terms of quality. Its back! Probably! 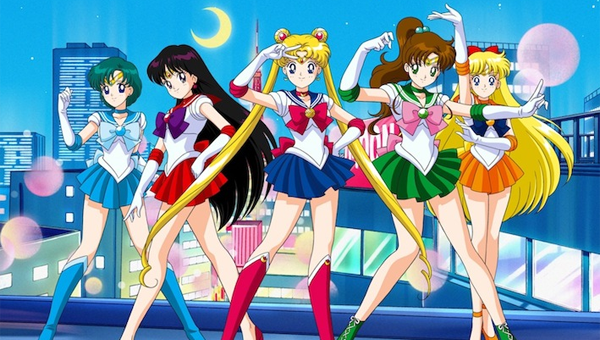 A few years back, for Sailor Moon’s 20th celebration it was announced we’d be getting a new anime adaptation of the series. And then it got delayed. Again. And again. But now, the show seems set to air sometime this year, so there’s hope for it yet. If you’ve never heard of it (somehow), SM is the magical girl show that really ensured the genre’s popularity, decades before Madoka, Nanoha or Cardcaptor Sakura. You have a sentai-esque team of teenage girls who go around blowing planets up with the power of love. 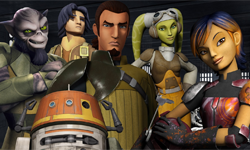 Its spawned countless spinoffs over the years, and the original series is over 200 episodes long, so you’ve got plenty to watch to kill time while waiting for this reimagining to begin. 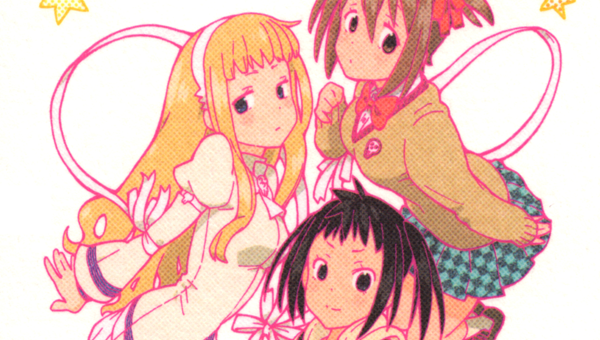 I love Soul Eater. One of the best shonen series I’ve had the pleasure of reading and watching over the years. And now its spinoff, Soul Eater Not is getting adapted. Unlike the action heavy original, Not took a more slice-of-life approach to the world, showcasing how meisters and weapons are trained from being rookies to the powerful guys and girls sent out on missions, such as Maka, Black Star and Death the Kid. It made for a stark change of tone from the original, and the two complement each other well, which is why I’m happy and intrigued to see that Bones are back to do this show as well. They knocked it out of the park with the original, celebrating their 10th year as a studio in the process, so I’m hoping for more of that magic here. 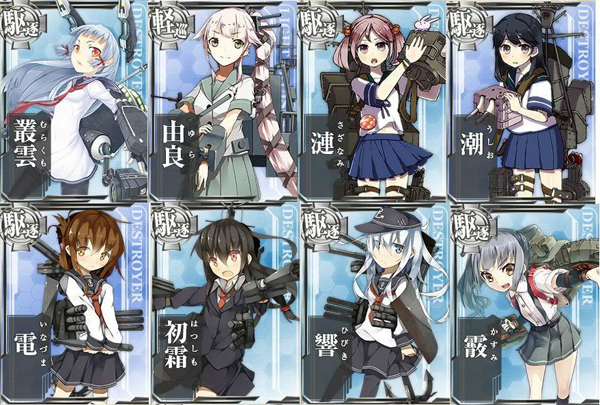 It’s an online web game where you collect Battleships in the form of little girls. So popular that it’s pretty much impossible to log on except for certain hours in the day where they have a sort of raffle thing. Recently it has seemed to become super popular. Even in the few months I’ve been in Japan, I’ve seen more and more of the stuff pop up in UFO catchers. So now you know. With something that’s snowballed in popularity, its hard to tell if an adaptation like this will either be cheap and nasty to sell more product, or an actual creative vision of the franchise to attract more people into playing it. Well, it’s probably the former, but hey, should have a budget behind it at least, right? Its been a long time coming. 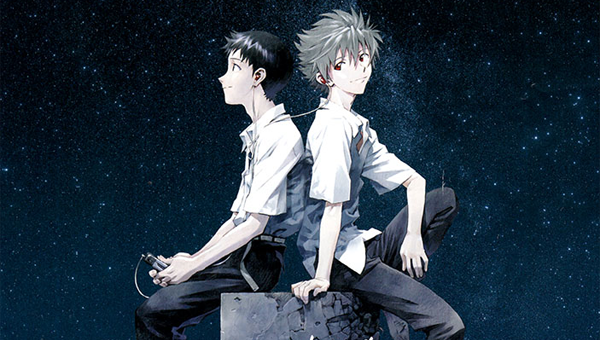 During the course of the Rebuild of Evangelion quadrilogy the manga finally finished, we lived through countless apocalypses and Gainax imploded and were born again as Trigger. But now the time has come for Eva to end once more. After a recap movie, an insane movie and a homosexual fanfiction writers dream movie, it all comes down to this. What’ll happen? Will the seemingly infinite Eva time loop continue? Will any questions be answered or will it be more utterly baffling madness that’ll have fans ardently debating anything and everything in an attempt to figure out the true meaning. Actually, yeah, it’ll probably be that. One way or another though, it’ll be an event to remember. Until the next reboot. 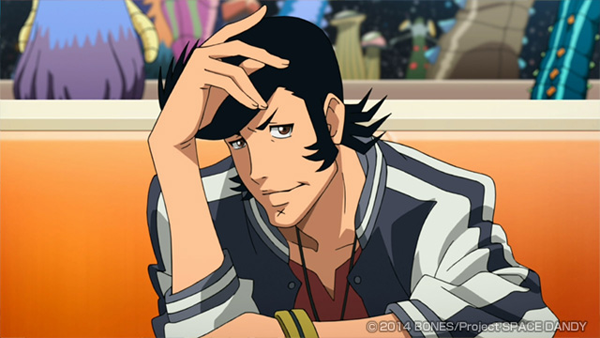 The dandiest guy in space, brought to you by the genius behind Bebop and Champloo. A show so hotly anticipated its being aired in English and Japanese simultaneously. 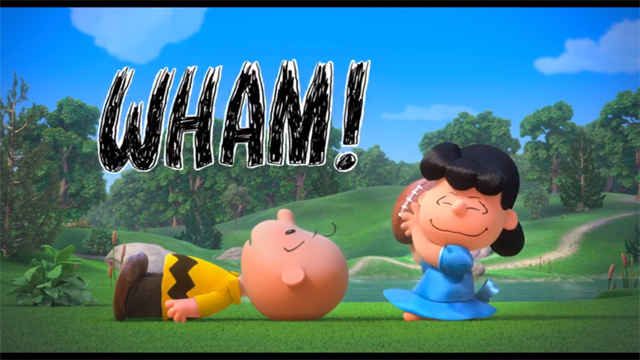 That’s right, not just simusubbed, but simudubbed. Everyone, and I mean everyone, has high hopes and expectations for this. What with this also being anime original, we know little about the plot. Dandy will apparently be looking for aliens with his trusty sidekicks of robot QT and cat Meow. Complex this show isn’t. And with Bones helming the animation, at the very least its gonna look pretty. This could well be the Titan of 2014, the one everyone talks about and even non-weabs pay attention to. But if none of those take your fancy, fret not. 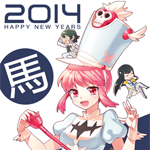 2014 is packed to the rafters with sequels to more shows than I can count, including Chuunibyou 2, Silver Spoon 2, Love Live 2, Gatchaman Crowds 2, Inferno Cop 2, Gargantia 2, Psycho-Pass 2, Little Witch Academia 2… they go on and on. But if there’s one sequel that’s making a stir more than even that lineup, it’s this. 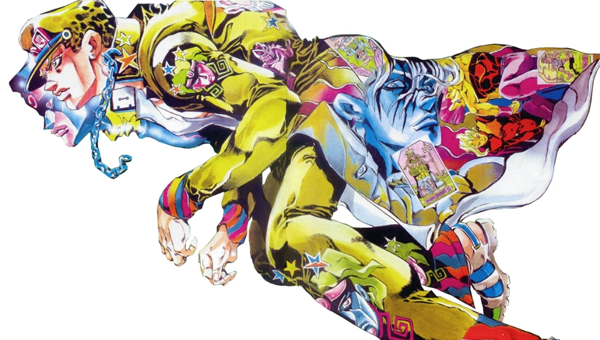 Let me be frank here, I was not a fan of JoJo’s Bizzare Adventure. A glorious tribute to craziness, with random crap happening every other scene, all blended with a dose of Britishness and more colour filters than a tin of Quality Street. But somewhat unsurprisingly, it went down a storm, and now its time for the next arc to be animated and aired – Stardust Crusaders. If you liked JoJo, this’ll be right up your street, and if you’ve yet to see an episode, its well worth checking out, as it ticks all the right boxes for people who aren’t me. 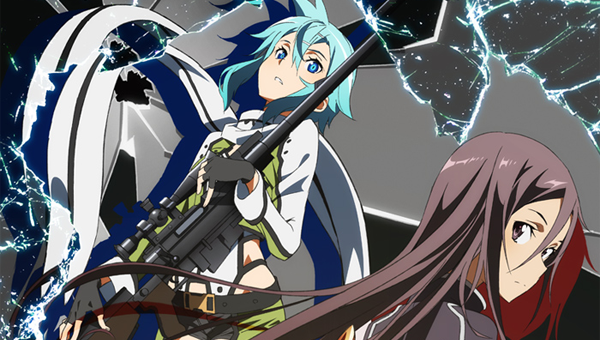 THE GUN GALE ARC OF SAO IS COMING! ANIME IS SAVED!